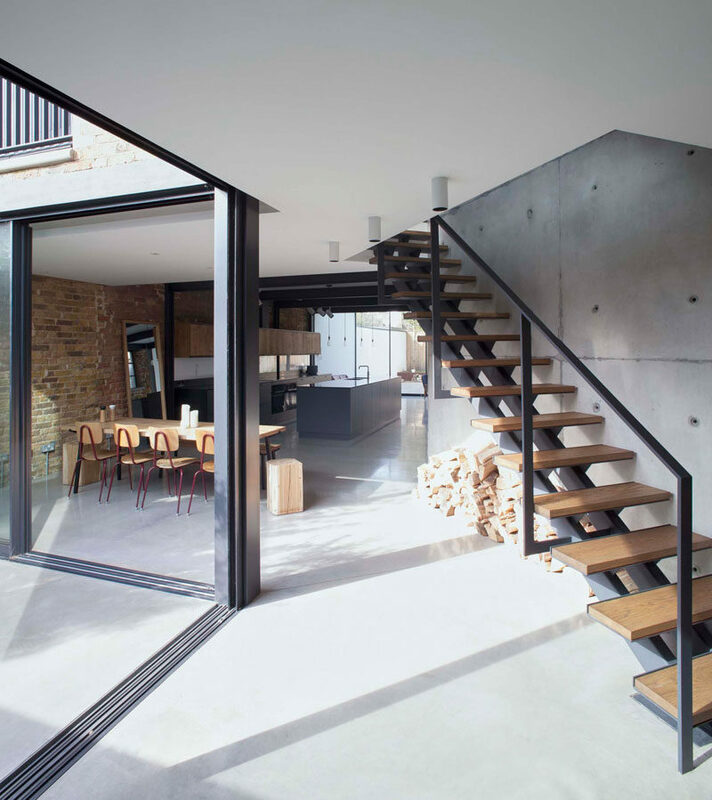 When Giles Pike Architects were restoring and renovating this Victorian workshop building in London into a home fit for today, they had to redesign the stairs. 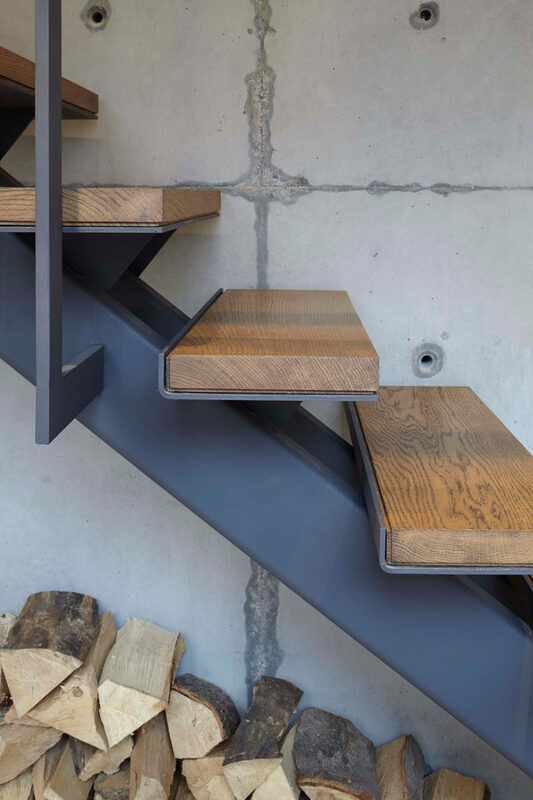 As the original stairs were awkward, steep, and positioned in a corner, they decided to place the new stairs alongside a new concrete wall that would make them easily accessible. 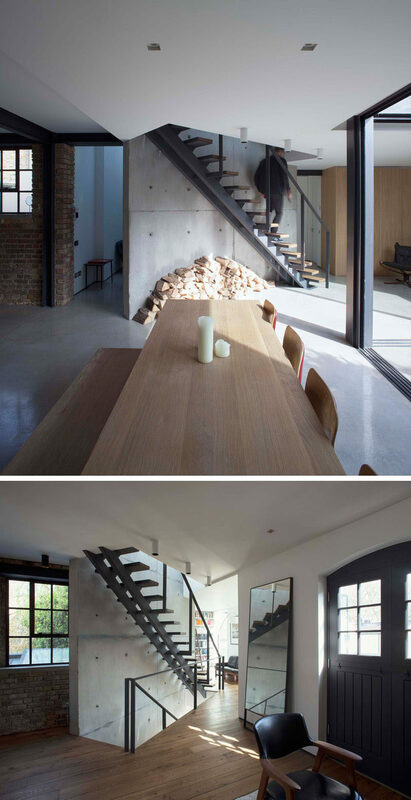 Keeping with the industrial feeling of the space, the architects were able to upcycle much of the original building materials and the timber was used to provide stair treads and floor finishes. 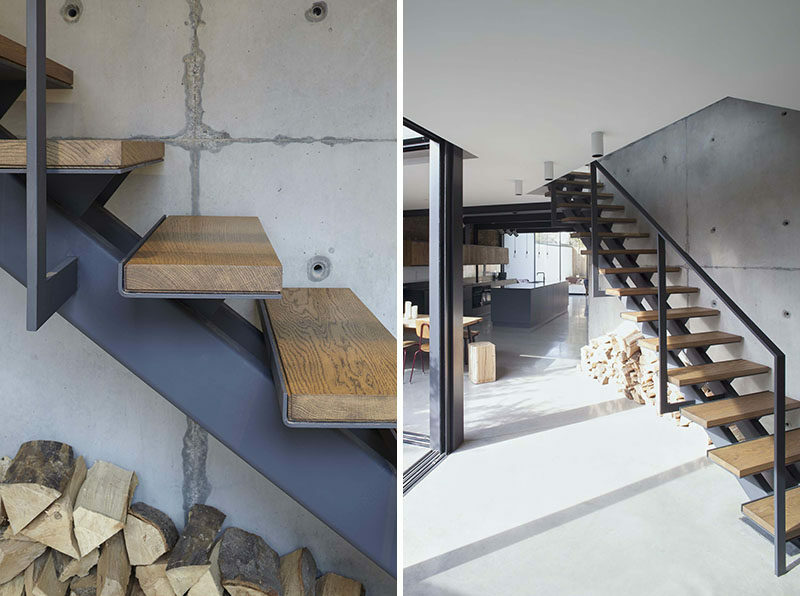 They also paired the upcycled wooden stair treads with a steel support to reinforce the industrial look of the new home.